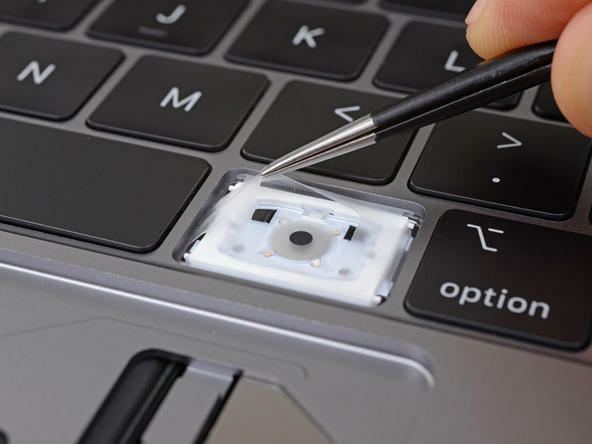 When Apple announced its new MacBook Pros with upgraded internals, many wondered if Apple fixed the keyboard issues that had been dogging the laptops. To everyone’s surprise, Apple said it didnot and instead just made the keyboard quieter, but that may have not been entirely true. 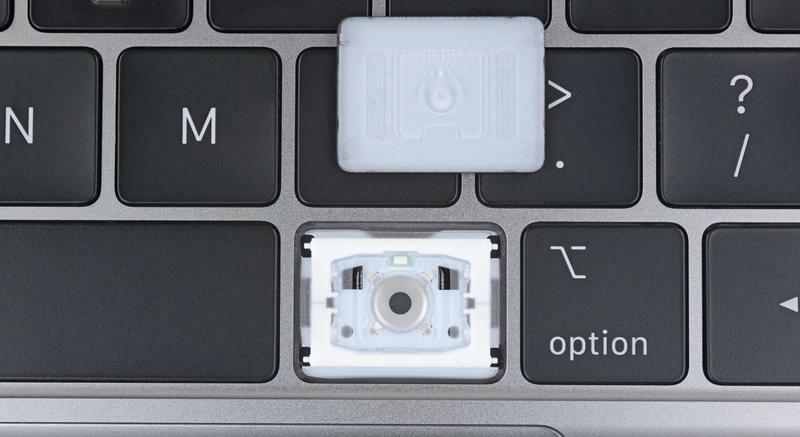 In tearing down the new MacBook Pro keyboards, iFixIt discovered that the only noticeable change Apple made to the butterfly switches was adding a new silicone barrier. The barrier is designed to prevent dust, crumbs and other particles from falling into the switches and causing issues like the previous generation was susceptible to. It seems odd that Apple did not highlight the feature during its announcement, but it’s probably just trying to downplay the issue by shifting the focus to the loudness of the keys. Ever since the issues started with the keyboards, Apple has been coy about owning up to the issue. Failing to highlight the feature in its newest keyboards just continues Apple’s mindset about its keyboards. Interestingly, the new enclosure matches the patent technique Apple filed back in 2016. It’s meant to keep out dirt and other debris by sealing the caps. Through Apple is not marketing the feature, potential customers can rest easy knowing the new MacBook Pro keyboards will be much more durable than previous versions.